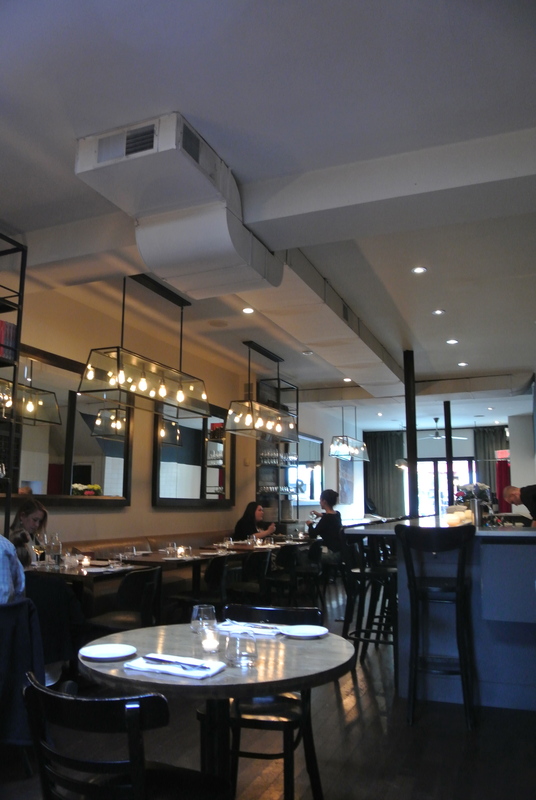 My restaurant list keeps getting larger and larger but I’ve finally knocked one of my oldest entries off the list recently, Ruby Watchco. 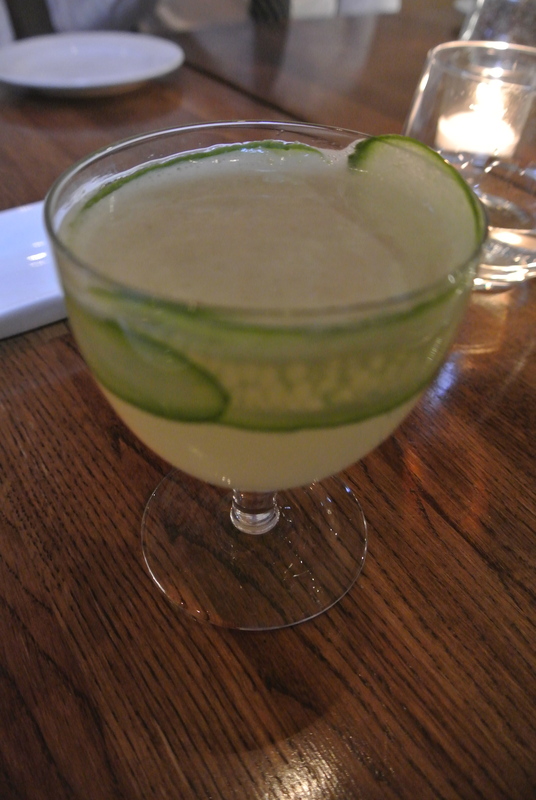 I’ve been a fan of Lynn Crawford ever since my meal at Truffles at the Four Seasons Toronto so you can just imagine how excited I was for my dinner. Having reservations on a Tuesday night, there were plenty of tables available. The menu changes daily and is served family style which means there is only one four-course meal prepared and served – no options. That night, the meal started with a charred romaine salad and a plate of cheddar and chive biscuits with homemade butter. The main dish and sides quickly came after: porchetta, BBQ ribs, heirloom carrots, sweet potatoes and charred broccoli. 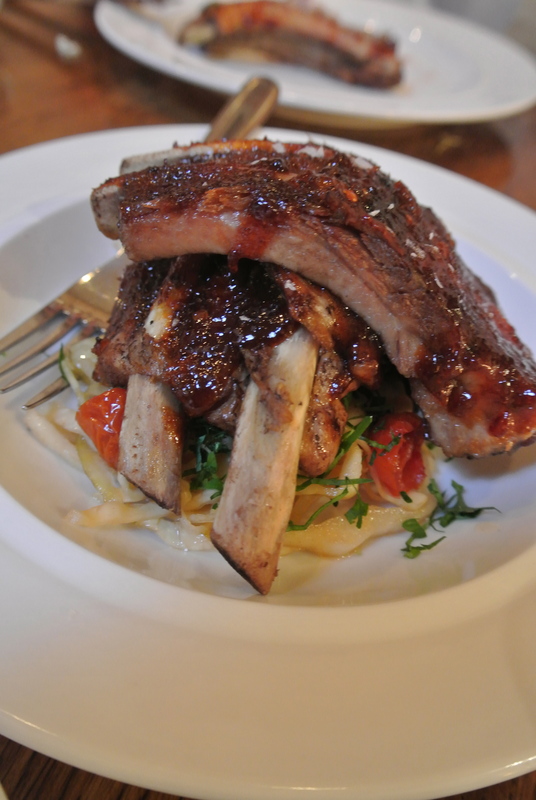 The porchetta and ribs were both tender and amazingly delicious, especially the ribs – it was fall of the bone tender. But the side dish of heirloom carrots with herb dressing and pecans was the best of the night. The herb dressing was creamy and perfect with the crunch of the pecans and sweetness of the carrots. Next came the cheese course and was finished with an apple rhubarb crumble (although they called it a pudding). It was a fantastic tasting dinner, no disappointments here. And if you’re curious about the name (I was so I asked), its named after an old watch company in India and somehow the signage made it to Canada, they found the sign and liked the name. 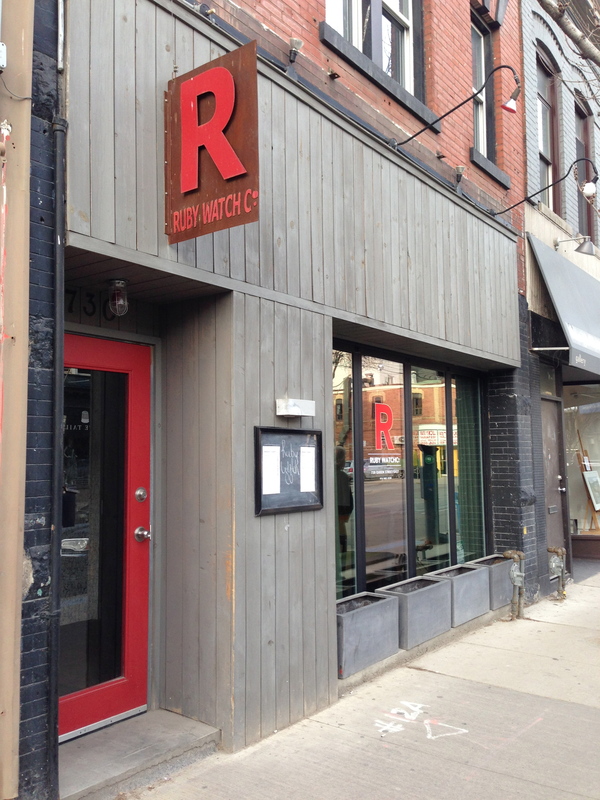 The restaurant front of Ruby Watchco. 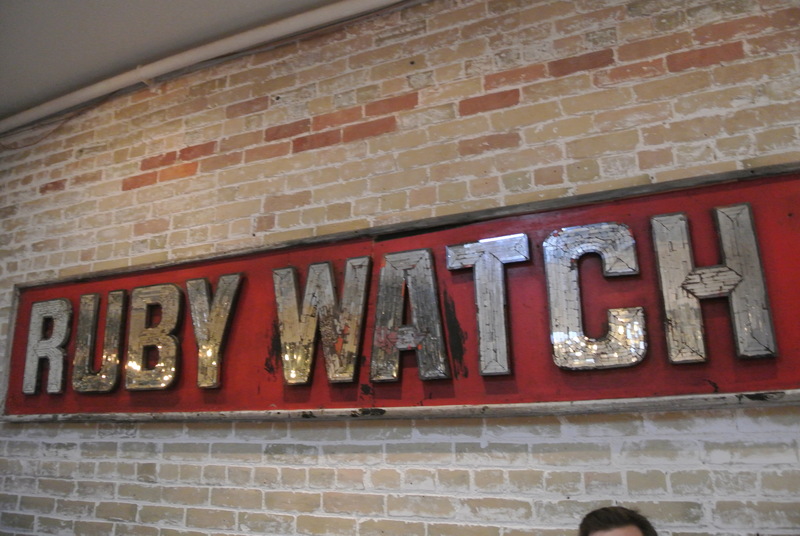 The Ruby Watch Co sign. A cocktail to start the night, the Ruby Sour. 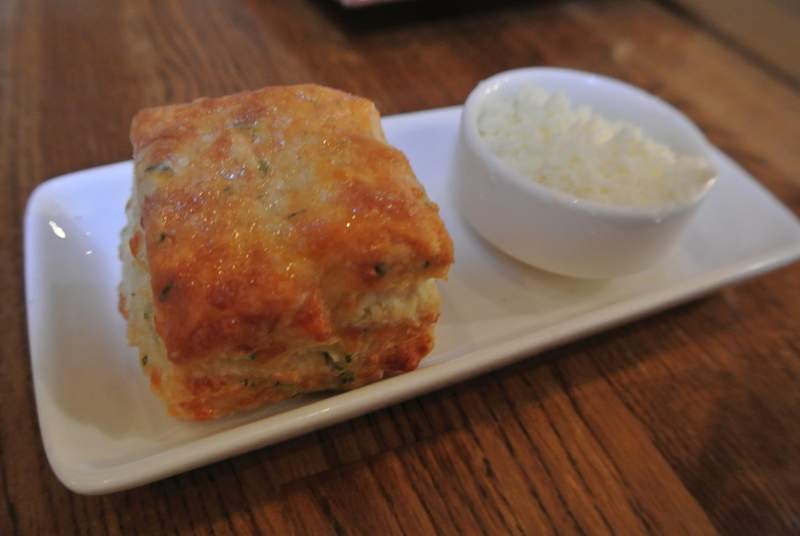 A biscuit and homemade butter to start. 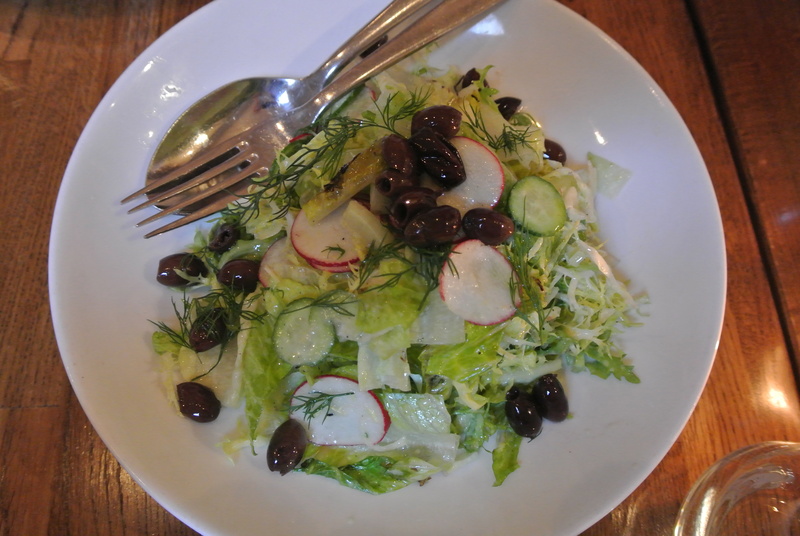 Charred romaine salad with frisee, radishes, marinated olives, fennel, dill, cucumber and pickled lemon dressing. Pork ribs with maple BBQ sauce. 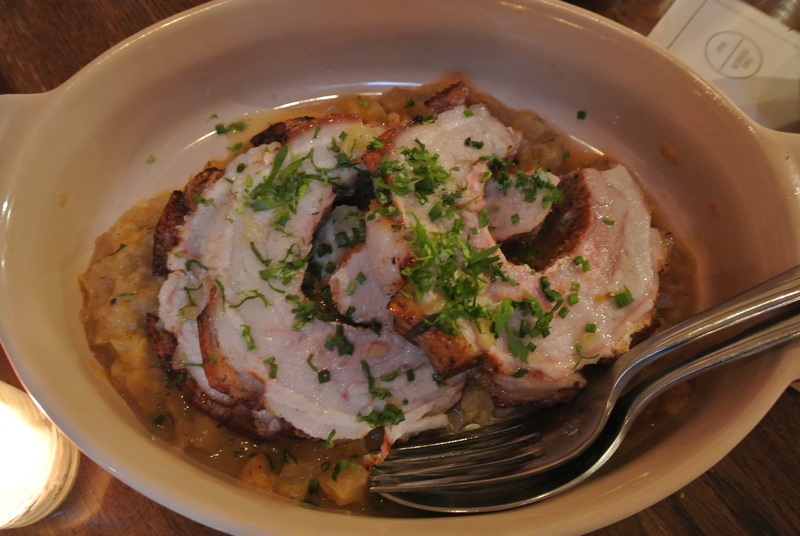 Slow roasted porchetta with orange fennel sauce. 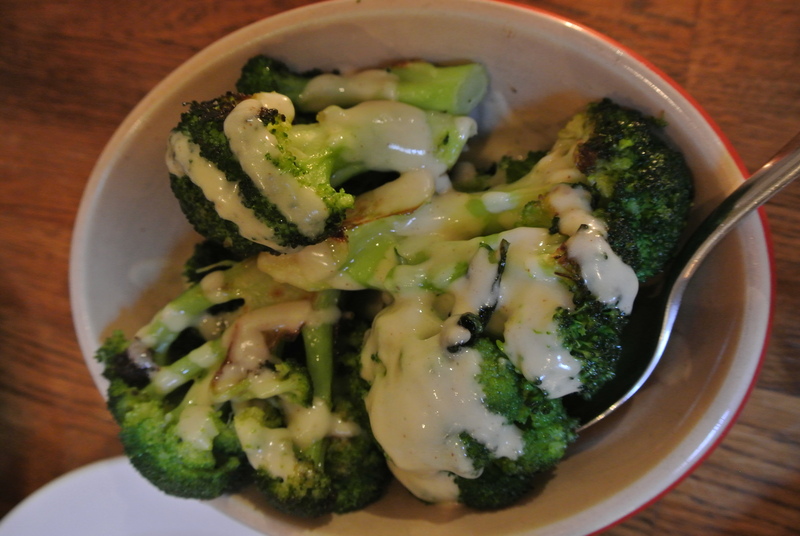 Charred broccoli with smokey mustard dressing. 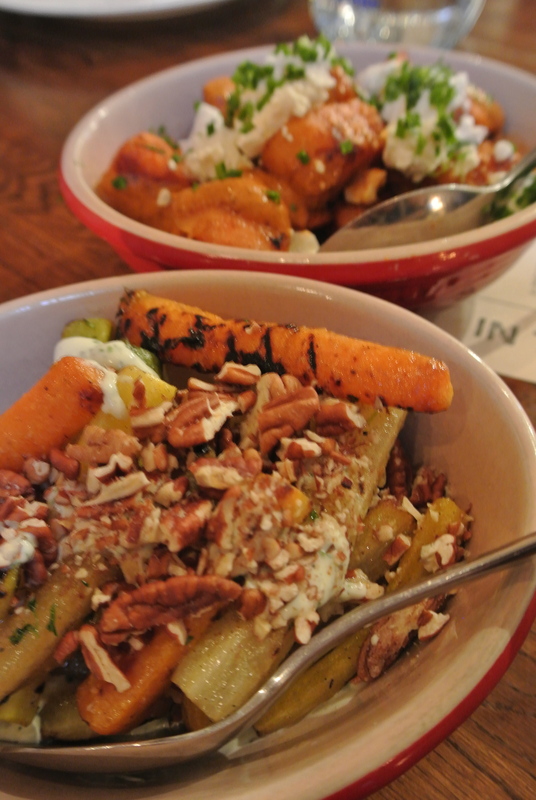 Grilled heirloom carrots with herb dressing and pecans. 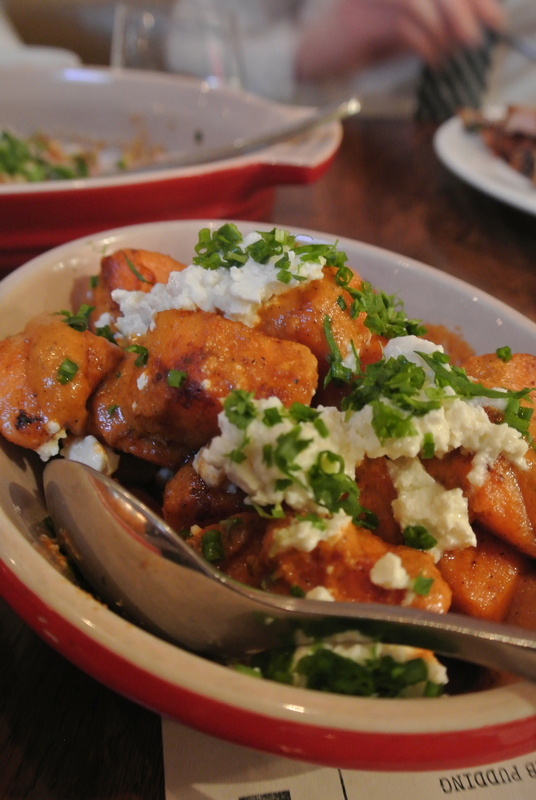 Sweet potatoes with feta and harissa. 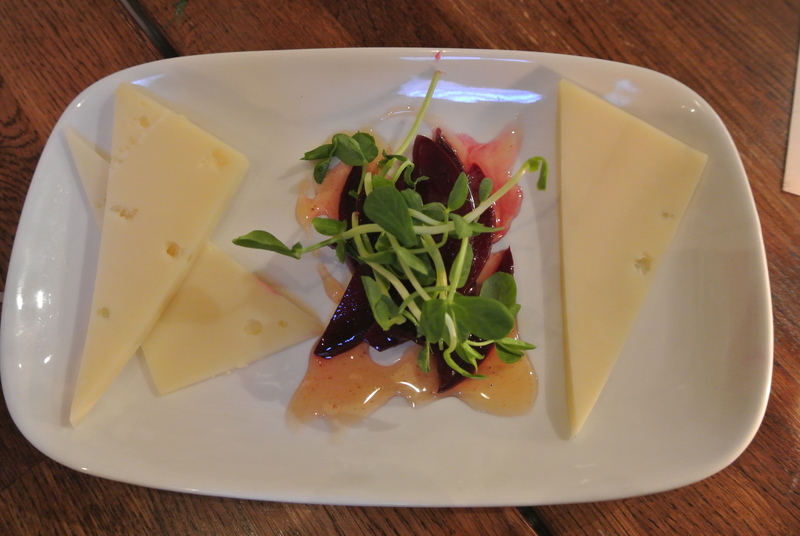 Lankaaster by Glengarry fine cheese with red beets, spicy honey and pea shoots. 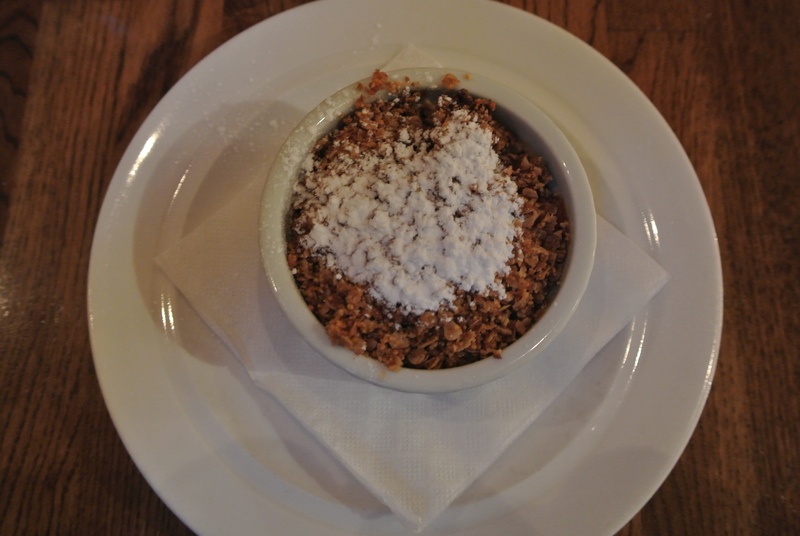 Warner’s Farms apply & rhubarb pudding with almond oat crust.